Since 1996, Dr. Sam has performed all over the US with the most unique form of entertainment in the healthcare industry. With his professional band, good-natured humor and satirical lyrics dealing with leading edge healthcare issues, he has taken on managed care, frivolous lawsuits - and now is delighting audiences dealing with the transition to electronic medical records with his engaging "Electronic Musical Records Review" show and his new genre of music — the "Meaningful BLuse". Who else could deliver a great time and delightful evening of fun with subjects like Health Information Exchanges, Accountable Care, HITECH, Meaningful Use and other current issues—all set to great music performed by Dr. Sam and his all professional band, with riotous and timely lyrics. Listen to song clips from Dr. Sam's CDs or enjoy full versions of 3 tunes—"HITECH Blues", "Might As Well Face It Paper Won't Be Here Long", and "Back Spasm Woman". 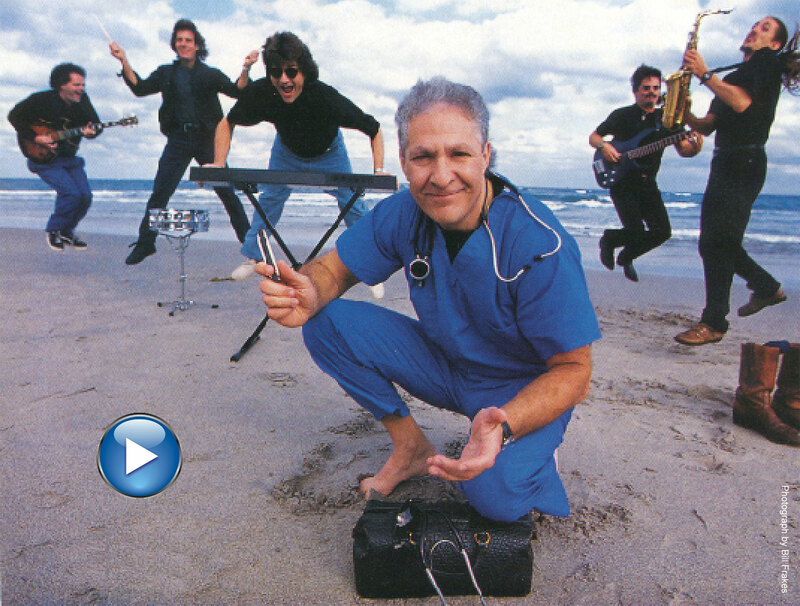 With more than 50,000 CDs sold (including such "Managed Music" hits as "You Picked A Fine Time To Leave Me Blue Shield", and "You're One Hip Mama - 'Cause They Won't Pay For Two", Dr. Sam continues to delight the medical industry with his musical parodies and standup routines dealing with health care issues. Both a nationally recognized medical informaticist and a nationally acclaimed songwriter, Dr. Sam wrote and recorded "Before You Go", a hit song tribute to the veterans of World War Two, The Korea War and the Vietnam War. "Before You Go" has now been downloaded more than 20 million times. Legislative battles, the need for tort reform, an overhaul of our healthcare system - it's enough to give you the "Healthcare Reform Blues"
Listen to song clips or order the CD including printed lyrics to Dr. Sam's Healthcare Reform tunes. I can't tell you how many members have said that it was the best meeting ever - because of you! You covered topics touchy to us all: malpractice threats, insurance denials, weird patients, and declining incomes all around. Your music was not only great but also funny as well. I have never been asked, in 30 years of organizing meetings, to have the same speaker come back the next year but a number of members asked for just that: you again! No one wanted it to end.